I distinctly remember nodding in agreement at a recent festival where BCUC exclaimed from the stage: “Real rock stars don’t do covers.” However, I’m sure that after 7 years, 5 albums, and many awards (including a SAMA) Van Coke Kartel has earned their rock star stripes. In fact, my biggest criticism on their previous releases was that it was too much of the same. In fact, I had hoped very hard that they would break out and do something completely unexpected and different. And now they have, with their new cover EP, Energie. Of the EP’s only Afrikaans track, Francois van Coke says that Johannes Kerkorrel and Koos Kombuis were the only Afrikaans music they listened to growing up that they could associate with. They grabbed the opportunity to modernise and revitalise Johannes Kerkorrel en die Gereformeerde Blues Band‘s Energie. While Myburgh professes that the original song already had lyrical content similar to that of Fokofpolisiekar and Van Coke Kartel, the band managed to rock it up a bit and make it their own. The song’s protest message is probably still as relevant today as it was back in 1989, and the Van Coke-boys ensured that it’s easier to digest for a modern audience. Next up, in part due to The Beatles being Jedd Kossew‘s favourite band, they covered the Lennon/McCartney classic Help! Francois and Jedd have played their version of this song live as part of Francois van Coke solo shows, but now it’s getting a proper Van Coke treatment. It’s the most pop-punk track on the EP – something quite different for the band, but they pull it off well. Their version is a fun, energetic track that’ll make you want to twist and shout. “Who doesn’t want to sing ‘I feel good’?” – Francois van Coke. James Brown’s I feel good may be the closest thing to “selling out” Van Coke Kartel has done, but again, they’ve put their unique spin on the funky soul/R&B classic. It’s harder and heavier than the original, but a great singalong tune that’ll surely go down well at shows. Apparently the band’s interest were first piqued by this YouTube video of an old James Brown TV interview, which inspired them to reinterpret the song as a rock ‘n roll tune. This song is the perfect example of how happy, summery, and fun the Energie EP sounds. Lastly, Van Coke Kartel slows things down with an acoustic interpretation of Lana Del Rey‘s Born to Die. On paper it sounds like their foray into pop music, but they’ve re-arranged the track to fit in very well with earlier VCK ballads like Tot die son uitkom and Lewendig Eindig. They describe it as “Spaghetti Western-sounding”, and the electric guitar definitely reminds me of Ennio Morricone-scored films like Once Upon A Time In The West. 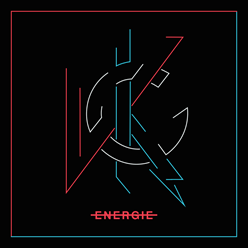 Energie is, appropriately, an exciting, energetic, fun, and upbeat EP. It’s great to see Van Coke Kartel doing something different, and interesting to see their approach and reinterpretation of these classic tracks. Not only is this a must-get for any fan (on vinyl, for collectors), but it’s probably worth a spin or two to any newcomer or lover of the original tracks. Either way, expect to hear these tracks a lot on radio in the coming months! You can buy the digital EP on iTunes or pre-order the vinyl record from Permanent Record. Van Coke Kartel is an alternative rock band from Belville in the Western Cape. 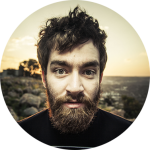 They were formed in 2007 by Fokofpolisiekar members Francois van Coke and Wynand Myburgh, and has since expanded to include Jedd Kossew and Dylan Hunt. They’ve released five albums, won 9 MK awards, a SAMA for their second album Waaksaam en wakker, and was nominated for a SAMA for their self-titled debut album. 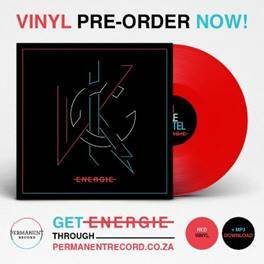 Their newest release, a collection of covers called Energie, is now available on iTunes or to pre-order on vinyl from Permanent Record.